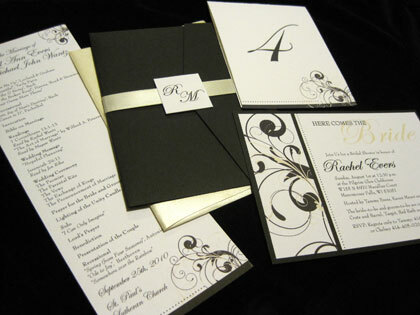 Here are the final package designs from my fall weddings this year. 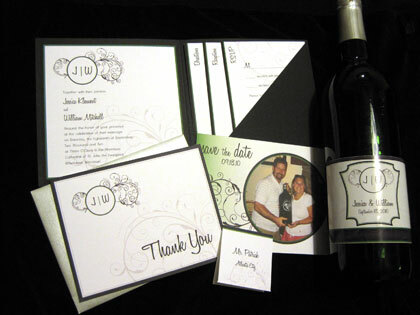 If you or someone you know is getting married, check out our wedding invitation packages at BB10 Creative! The fall wedding season is underway and now that all of the invitations have gone out, I’m busy following up with the wedding programs, place cards and table numbers for the upcoming events. More posts to come soon, but for now here are the details about the fifth fall wedding this year! The fifth wedding of the fall season takes place in October between Tina and James, a fun couple who currently reside in Arizona but are planning the wedding in Wisconsin. 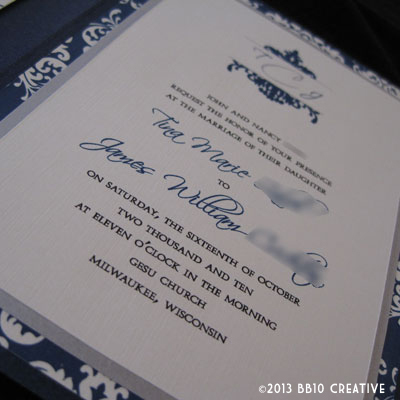 Tina and James came to BB10 Creative with a very specific idea in mind for their invitations. This invitation is unique because instead of using a pre-made enclosure, we ended up creating our own using a heavy cardstock, some creative cutting and ribbon! 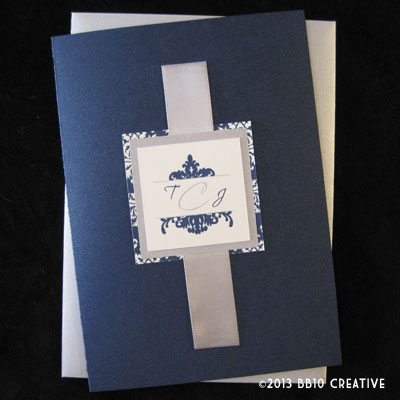 Tina and James are using navy blue and silver for their wedding colors and loved the idea of a damask patterned paper paired with silver metallic paper. We also spent time creating the perfect monogram to fit the overall look. 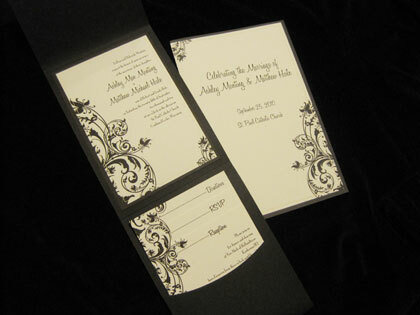 The final design turned out to be very elegant and ornate. 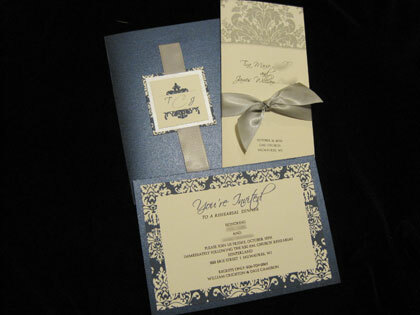 We used a navy blue metallic paper as the base of the invitation and used layers of paper on the inside with the pattern, followed by a silver metallic paper, followed by the actual invitation card with the monogram. 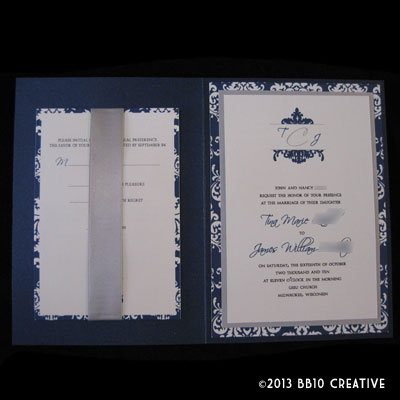 The left side of the invitation houses the three enclosure cards, tightly held in place with a gorgeous silver satin ribbon. 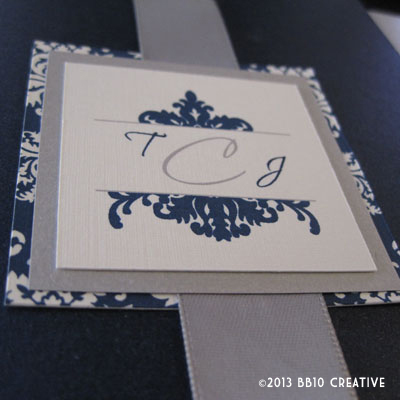 The ribbon gets pulled through the invitation and is sealed in the front with the monogram. 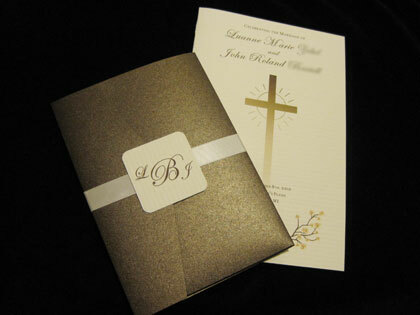 The whole package is mailed in a matching silver metallic envelope. This invitation definitely stands out from the pack and I love how it all came together with the different layers of metallic and linen paper. It has great texture and color and we even added a little extra “bling” with a small jewel on top of the monogram. 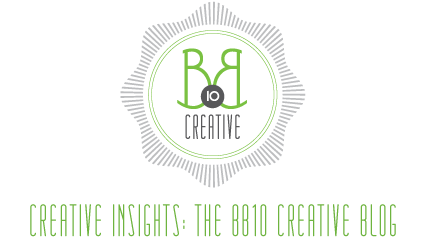 Even if you have a very specific idea in mind, BB10 Creative is happy to take it and run to help you create the perfect invitation for your big day.